Home / Moving To Australia / 10+ Most Important Things To Do On Arrival In Australia? A few weeks ago, on a chilly July morning, my phone woke up from its deep slumber and chimed for my attention. It was a WhatsApp notification from one of my friends, Sid, who was about to catch a flight that weekend to make his first trip to Australia. The conversation went something like this. Sid: Hey Harsh, how are you dear? This friend of mine has a nasty habit of calling everyone “dear”, it sounds ridiculous but I ignored it anyway. Me: Hey Sid, I am good, man. How about you? Sid: What to tell you, man! I am overwhelmed by the travel preparations. I am flying in two days and yet to finish a lot of things. God knows how I am going to finish everything! Me: Take it easy, bud. It happens to everybody. Don’t sweat. Everything will fall into place. Sid: Yeah, I guess so. Anyway, I pinged you to ask about the things to do when I land in Australia. 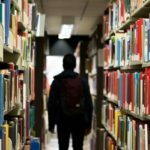 What all things I should do in the first week or so? In what order should I do them? Can you please guide me? Me: No problem mate. 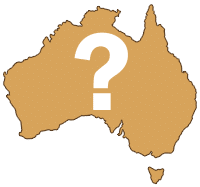 It’s one of the most common questions asked by people moving to Australia for the first time. 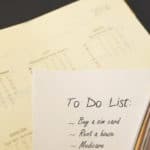 I will give you a checklist of things to do sorted by time. But before that let me give you some common tips about travel and customs. Sid: Sure man! That will be helpful. Me: Before packing the stuff, just make sure that you got everything that you needed as per the checklist. Also, make sure that the items that you want to bring, are allowed by Australian Border Authority. Generally, any perishable food item such as fruits, meat, vegetables etc. is not allowed. Also, any kind of seeds or plants is not allowed. You can bring spices and ready to eat food provided it is properly packed and labelled with the list of ingredients. Also, please carry the prescription for any prescription-only medicines you are carrying. Flight staff will hand you the Incoming Passenger card in your second leg of the journey. The card looks something like this. You need to fill in all the details and declare any items that you bring to Australia. 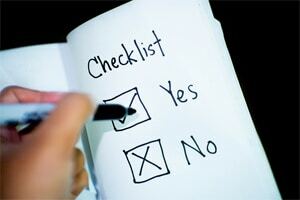 Usually, it is best to tick yes when you are not sure. At the most, authorities will seize objectionable item but at least you will be saved from the hefty penalty which you will have to pay when you don’t declare and bring any prohibited items with you. Sid: Good that you told me. If I declare items, will they open my bags? Sid: Cool. Hope dogs won’t get ticked by the smell of Indian food. LOL! Me: Well, the smell might make them hungry! Jokes apart, once you arrive in Australia, there is a list of things you need to do to get started with the Australian way of life. Sid: Yeah, please tell me what should I do first? Me: Well, let’s go step by step. One important tip before the actual checklist: finalise a postal address which you will use for all the correspondence. It can be your friend’s address or your shared accommodation address or you can even rent a post box if you don’t have fixed accommodation. Just finalise it before you proceed to apply for any government services like Medicare or TFN. This will help you have all your correspondence in one place. Buy a sim card and activate it. Many mobile operators such as Vodafone, Optus, Telstra usually have shops on the airport itself where you can buy the sim card. It’s a good idea to compare plans for different providers and finalise the most suitable plan before coming to Australia. That way all you have to do is buy a sim and activate it when you arrive in Australia. Usually, there are various special offers going on for each of the providers. It’s a good idea to check all the offers and choose the most suitable one before buying the plan. I bought Amaysim when I came to Australia as it was quite cheap (30$ per month) with 5 Gigs of data and unlimited India calling. What more can you ask for? Buy a pass for public transport. In Melbourne and regional Victoria, you need to buy Myki pass whereas in Sydney and surrounding areas you need the Opal card. Brisbane, Gold Coast and all the major suburbs in Queensland use the Go card. Other cities have similar kind of travel pass in place. Depending on your location, you need to buy the appropriate pass and recharge it with sufficient amount. Open a bank account with a bank of your choice. If you have already opened an account from overseas, you can visit the branch along with your passport and visa copy. Once your identity is verified, your account will be activated and a debit card will be issued to you. Visit a Medicare office nearest to you along with passport and visa copy. 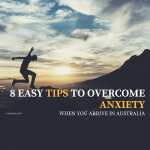 You will need to fill in the application for yourself as well as for all the dependents who have moved to Australia. Bank details need to be provided in Medicare application which is why it is important to open a bank account first. Your Medicare card will arrive by post in about a month to your mailing address. In the meantime, you will be issued Medicare number which you can use to visit doctor till the permanent card arrives. Word of caution: If you are on a visa validation trip, please refrain from applying for Medicare card, TFN number and Centrelink. Apply for Tax File Number(TFN). A TFN is similar to the PAN number in India. 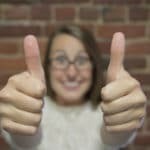 Though it is not immediately required, an employer will need it when you start the job. 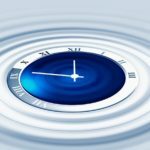 Applying for TFN is pretty straightforward and won’t take more than 20 minutes. You will need your passport and visa letter to fill out the online TFN application form. TFN letter will be sent by post to your mailing address in about a month’s time. Withdraw all the money from the travel card and deposit it in your Australian bank account. This way you don’t need to manage different cards and also don’t need to pay ATM charges on each withdrawal. Make sure that you draw maximum amount out in each withdrawal as the ATM will charge a withdrawal fee on each transaction. On the other hand, if you don’t want to withdraw money from travel card, that’s totally fine. You can still use it to make all the payments. Search for shared accommodation, if you are living in a temporary accommodation such as AirBnb or budget hotel or hostel. If you have moved with family, you might have to decide on the suburb to live and probably, will have to find a rental accommodation. Create an account on my.gov.au and link all the government services such as Medicare, Centrelink, TFN etc. to it. This will give you a central place to manage all your services. One of the most important benefits of linking all the accounts is that if in future you want to change your personal details or address, a single update will apply the change to all the services, thus simplifying your life. 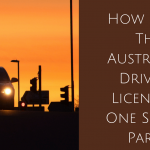 Get an Australian driving license. Depending on whether you have an existing license and the country you got it from, you may or may not have to prepare for the driving test. It’s better to take lessons with a professional driving instructor to get hands-on practice and understanding of the driving rules. Though it’s not mandatory, it’s almost impossible to get on with the life without a vehicle in Australia. It will make your life easier and sometimes, even the recruiter prefers someone having driving license over someone who doesn’t. 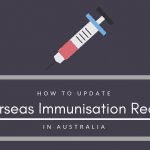 Update your kid’s vaccination details in Australian records. When you enrol your kid in a daycare school, they will ask you for his/her immunisation statement. Hence, it is absolutely important to get your kid’s vaccination details updated in Australian Immunisation Register. Register your travel pass online and set an auto top-up facility for your card. Auto top up is nothing but a facility whereby your bank account is linked to your travel pass. So whenever your card balance is about to reach zero, it will automatically be recharged with the amount you specified by debiting your bank account. This can be life-saver especially during the job hunting days where you need to travel a lot to meet recruiters, attend interviews etc. Imagine missing an interview just because you ran out of travel pass balance! Register on Meetup.com. Meetup is a website where people can join communities of their interests and attend related events nearby to them. It is a great way to expand your network and also improve your communication skills. Plus, no one can deny free food and drinks! Activate trial premium subscription for LinkedIn account. This way you can enjoy the premium features such as InMail, who viewed your profile, insights about your job application etc. Create job alerts on major job portals such as Seek, Indeed. This way you don’t have to wade through the list of jobs to find the newly advertised one. Rather, you will get an email alert for new jobs each day. Go crazy on job hunting spree. Start applying for relevant jobs. Sid: Thanks, bro. That is really useful information. Looks like I have a lot of work carved out for me ahead. Me: You sure have, but don’t worry. Do it one step at a time and you shall be fine. Let me know if you need any help. Have a safe trip! See you soon down under. Sid: Thanks, buddy. I owe you one! Sid arrived safely in Melbourne and didn’t face any issue at the security check. He was able to complete most of the steps in my checklist though he is still struggling to get his driver’s license after 2nd attempt. Well, what can we do, old habits don’t go away so easily. But other than that, he has smoothly settled into his Australian life and even managed to get a job offer. As the phrase goes – luck favours those who come prepared. Do each member of the family need to register for centrelink ? How does it work ? 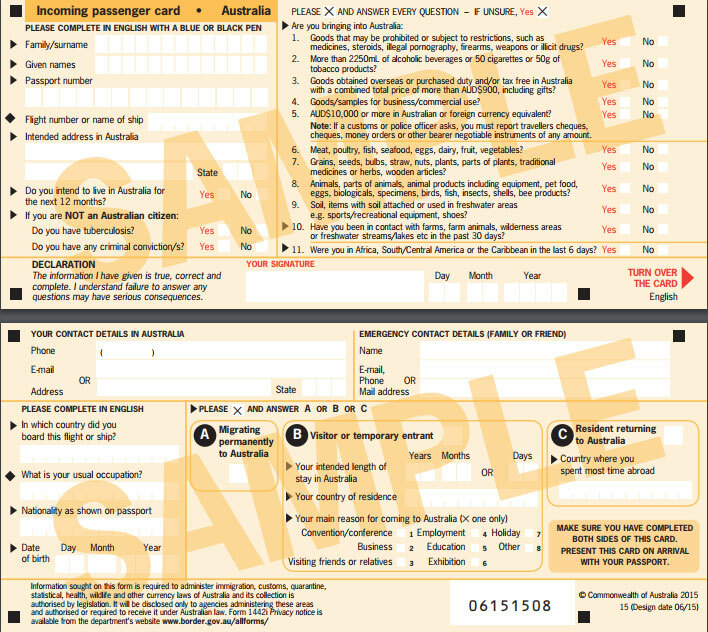 Usually, adults need to register for Centrelink and they get CRN (Customer Reference Number). When you lodge a child care claim for your kid, a CRN is automatically generated and assigned to the child. So you don’t need to explicitly get CRN for them. To get the Australian citizenship, you need to look at the options to move to Australia as a Permanent Resident. I suggest that you look at my Moving to Australia series of posts to get some idea. Which is a good network and plan for International/India calling(maybe unlimited calling) that has a good coverage in Melbourne? Also, can we purchase it from the airport itself? What documents will they require from us since we’ll not have a local address/ID proof, will the passport/Visa suffice for getting the sim/connection at the airport itself? Thank you for your awesome write-up. It really helps in planning things. However, My situation is , My wife and daughter are doing there validation trip and am moving permanently. In this case, do I have to register centerlink and TFN for my wife? Please clarify. 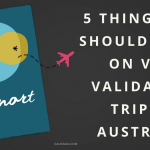 If your wife is on a validation trip, she doesn’t need to register for Centrelink, Medicare or TFN yet. When she moves to Australia on a permanent basis, she can enrol to these services. Australian animal – Wombat poops in a cubic form. The poop is used as the sign of territory marking. Also, due to it’s shape, it stays firmly in place and does not roll away.